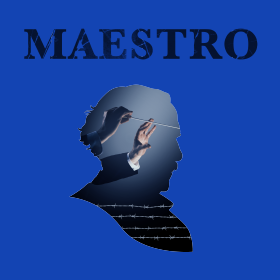 Maestro brings to life the story of legendary conductor Arturo Toscanini and his brave opposition to Fascism. His refusal to perform in Italy and Germany, and his trips to Palestine to conduct an orchestra made up of Jewish refugees made headlines around the world. Drawing on his passionate letters to his lover, the young Italian pianist Ada Mainardi, along with music by his contemporaries, this moving theatrical experience shows us that even during one of the darkest chapters in human history, an artist’s voice can be heard. Group tickets are available in person or over the phone. The Romantic Century was about imagination and experimentation. Elevating the human condition through art: that is the spirit we hope to summon. For more information, please visit their website.